Looking for unique wall art arrangements challenges you to go behind the traditional bounds of a frame and become creative in your approach. Judging by today’s roundup, simply hanging a picture in a frame is child’s play compared to the more inventive possibilities at our disposal. The most customized of this curation in particular is that of DNA 11, a company that will convert your fingerprint, lipstick stain, or DNA cell swab into a one-of-a-kind work of art, and it can even combine samples from two people into one customized piece (hey lovebirds, can you say “Valentine’s Day gift?”). For those who like to keep their wall art a little less personal, there’s the stunning 3D butterfly set from Paul Villinski — less intimate but still customizable as they come in individual pieces, leaving the final design completely open-ended — or the visually arresting lightbox collection from Jefdesigns. Those who want a slightly more traditional but still conversation-worthy solution to bare walls need look no further than the mirrored wall art series by Porada or a set of engraved wall panels from B&N Industries. In any event, everything here beats that old unframed Hendrix poster from college. These butterflies are wonderful. Now, many of us would not go for that type of theme, but here it is done so tastefully. It is not overkill like I have seen before in murals and wallpaper. Here is a light box that reminds me of a monster or perhaps something from the sea. This may look good in a young boy’s room that is into that type of subject matter. 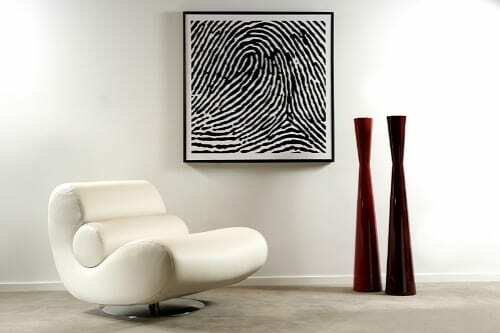 What about having your fingerprint blown up and placed on a print? I am not so sure that is such a good security idea with all the hackers out there now, but if interested, check out DNA 11. 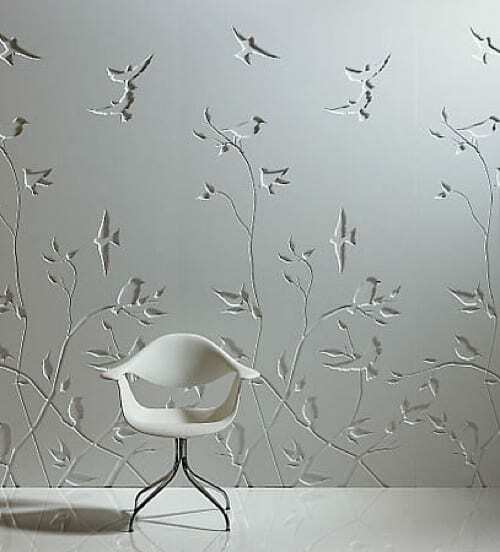 These engraved wall panels are so elegant. It looks as if artisans performed this work and in now way does it look like a DIY job. What about creating an installation of mirrors? That is a clever idea and the great thing is that it reflects light back.